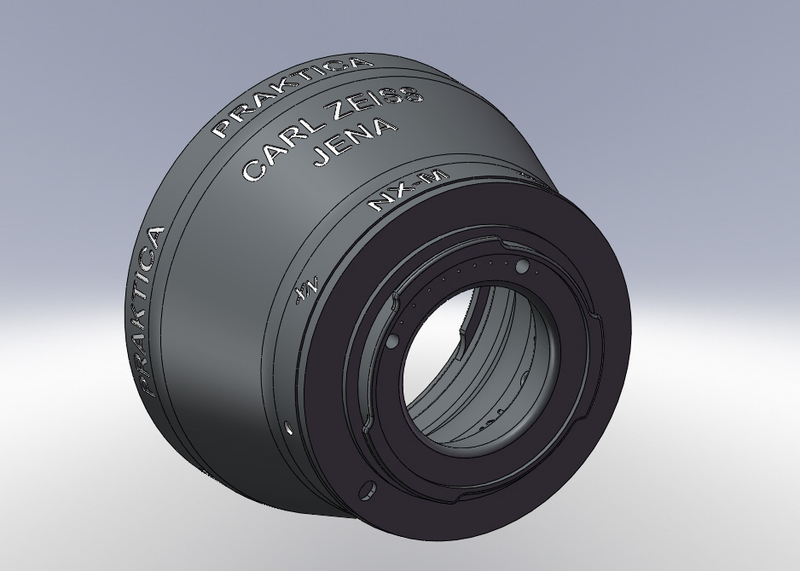 You may find SolidWorks far easier to create your model; even engraved or embossed lettering on a conical surface is quite easy and intuitive. If you are on a very tight budget you may want to use FreeCAD on a free operating system even! 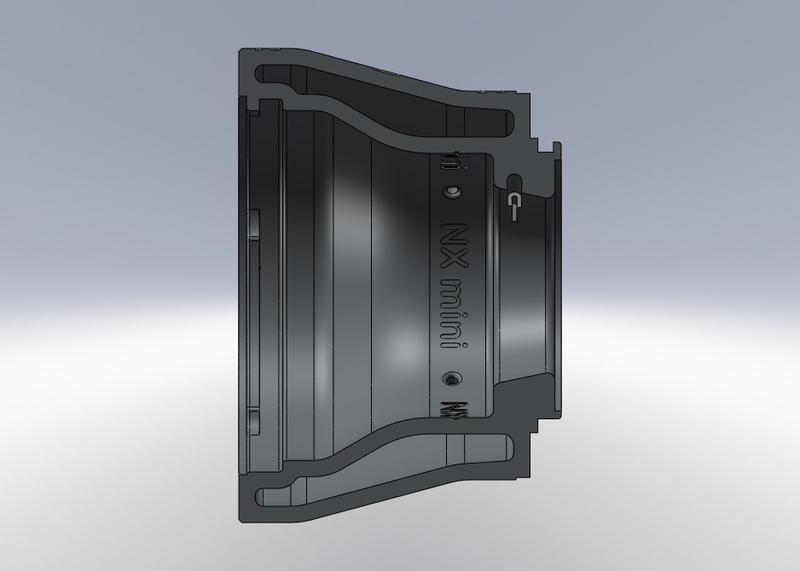 Take a look at threads on dpreview for legacy lenses on NX-mini. From memory one guy has succeeded by making the thread angle very shallow presumably to allow the printer a chance of interpreting a fine thread - getting some filament in there! I hope admin can place this “thread” in the correct place? 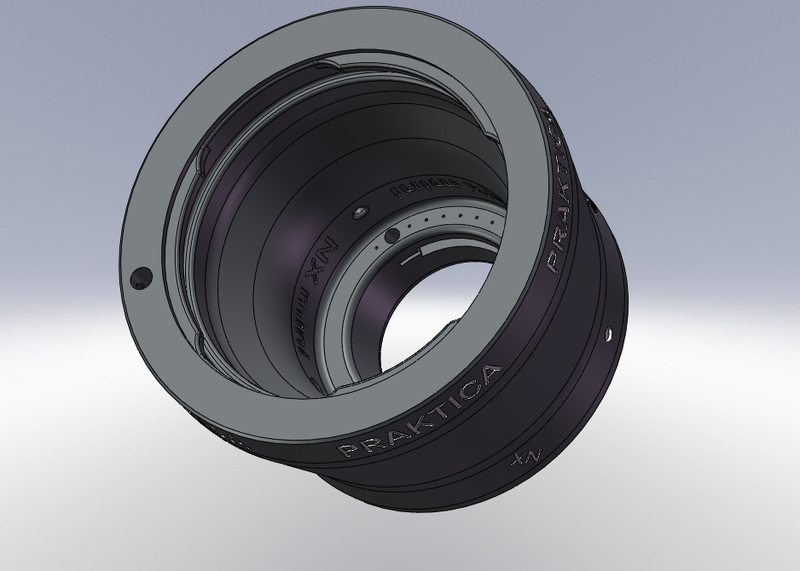 Some may like this OTT model for Praktica B lenses and accessories to a NX-mini ? Note that unlike machining complexity is not necessarily expensive in 3D printing. "Make: an open source hardware, Arduino-powered, 3D-printed wire-bending machine"
The video is a 15 minute tour of design and implementation. I found it informative and inspiring. 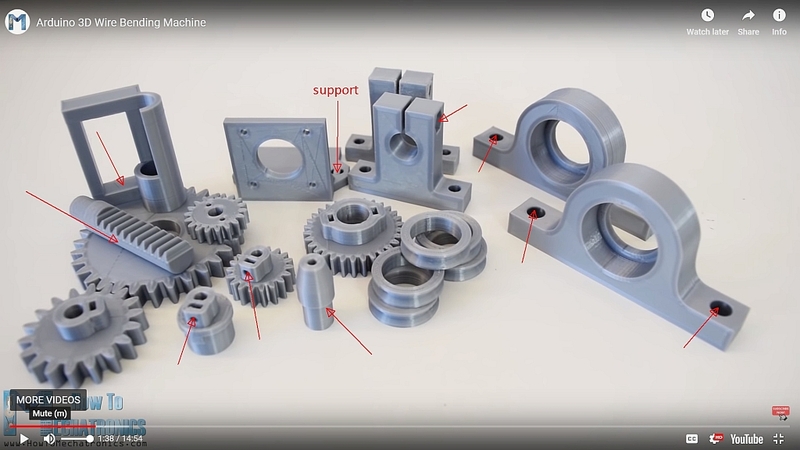 I was particularly interested in the quality of the 3D printing shown in the video, for example on the gear surfaces. 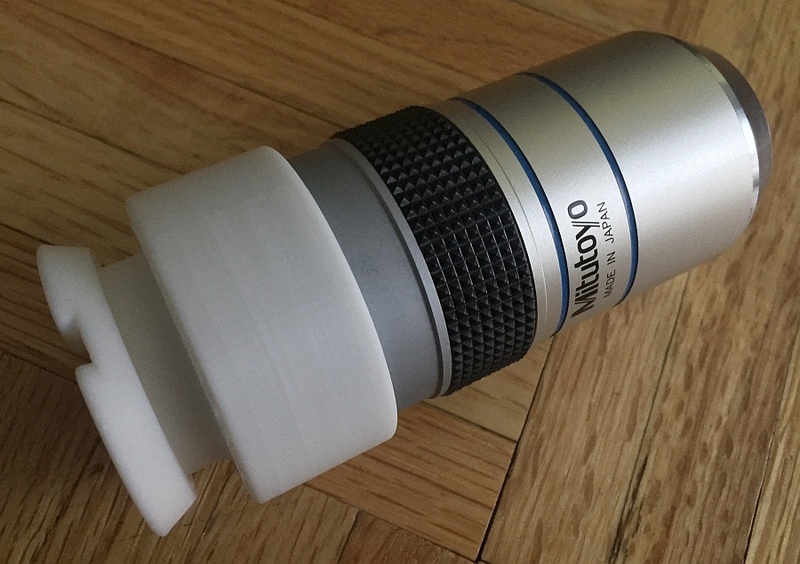 Associated documentation at https://all3dp.com/1/creality-cr-10-3d-printer-review-worth-the-hype/ says that "Fitted with a 0.4mm nozzle, Creality notes the CR-10’s maximum resolution as 100 microns." Do you think what's shown in the video is straight off the printer, or has it been cleaned up somehow? Sorry, Rik, somehow I missed your question.